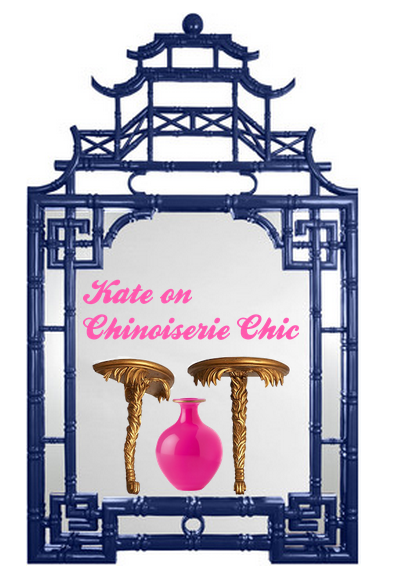 Starting tomorrow, my daughter Kate, a stylist in DC with an incredible eye for fashion and interior design, will become a regular contributor on Chinoiserie Chic. Her posts will feature her own amazing Georgetown apartment filled with Chinoiserie (that was recently featured in Washington Post Express) as well her own take on Chinoiserie Chic style. We have some joint posts and other fun ideas in the works as well. Welcome, Kate!! This will be so much fun! Such a great idea, Beth! It will be great to have Kate as a contributor with you. Beth you must be so proud of her! Looking forward to Kate's posts! This will be really fun. Looking forward to her point of view.